Take breakfast up a notch with this tasty French toast dish. 2. 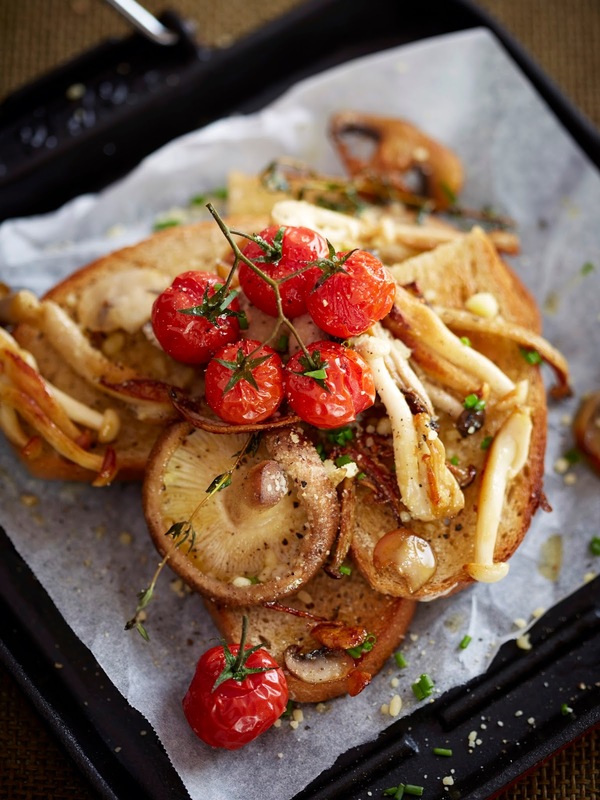 Place the mushrooms and tomatoes in a baking dish. Divide half the butter among the mushrooms. Season with salt and pepper and bake for 10-15 minutes or until tender. 3. Mix the egg and milk in a large, shallow dish. Soak the bread in the egg mixture, turning, until all the liquid is absorbed. 4. Melt the remaining butter in a large frying pan over medium heat. Cook the bread for two to three minutes on each side or until golden. 5. Put the bread slices on a plate and top with the mushrooms and tomatoes. Sprinkle the cheese and parsley and season to taste.